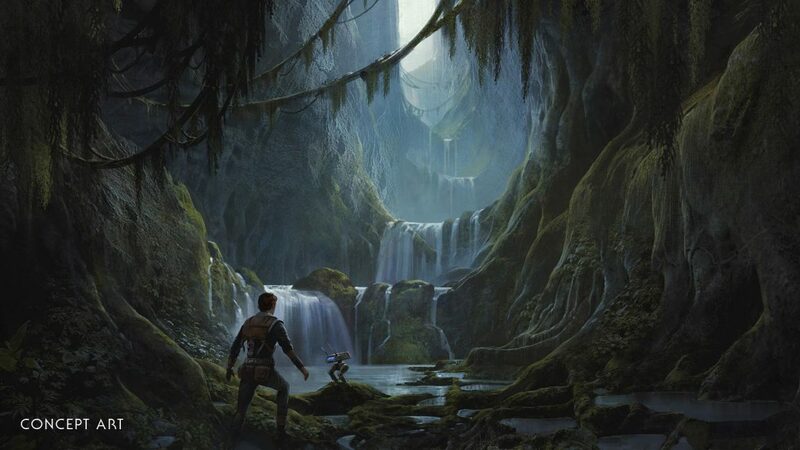 Star Wars Jedi: Fallen Order was revealed today at Star Wars Celebration in Chicago. The footage you see is rendered in-engine, and focuses on the story. “Trust No One” seems to be the main theme, as the main character says it more than once. It’s an action-melee game that takes place after Order 66, and in it, you are a Padawan with a lightsaber and Force powers on the run from the Empire. According to Respawn, the game features plenty of depth and easy to pick up combat. Combat is key, said Respawn, as you will need to identify your enemies and exploit their weaknesses. Each enemy will require different approaches. Two characters in the game were shown the trailer. One is your best-friend, a droid called BD-1, and the other is your mysterious companion Cere. 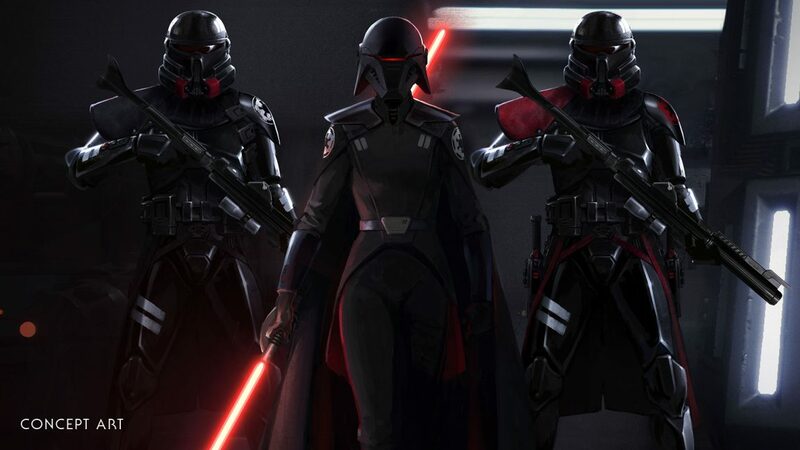 In the trailer, you also get a look at Second Sister, one of the Empire’s elite Inquisitors pursuing Cal. Troopers shown in the trailer are called Purge Troopers and they are specially trained to fight Jedi. When a Jedi is detected someplace, the Empire sends the Troopers to the area in order to verify the report. Once a Jedi is identified, the Troopers call in the Inquisitors to take out the Jedi. Cameron Monaghan (Gotham, Shameless) lends his likeness and voice to the character you play in the game – Cal Kestis. It starts off on a brand-new Star Wars planet called Bracca, where you will come into contact with droids, familiar faces, various Trooper types and many more characters. Bracca is just one of several new locations introduced in the game. Through Cal’s Jedi training, you’ll use various melee combinations in order to escape the Imperial Inquisition, and learn to use his Force Powers. The game also promises a innovative lightsaber combat system and various Force abilities. You will also use traversal and other platforming abilities to overcome opponents and solve puzzles in your path. 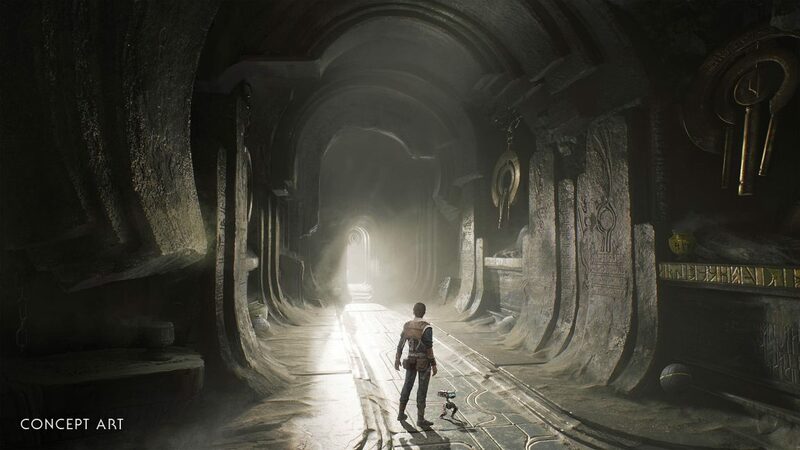 Star Wars Jedi: Fallen Order releases November 15 for PC, PlayStation 4, and Xbox One. It is available for pre-order and will come with “unique cosmetic content” for your lightsaber and droid companion. A Deluxe Edition ($69.99) is on offer as well, and features a “Director’s Cut suite” of behind-the-scenes features and content as well as additional cosmetic equipment for your adventure. Pre-orders of this edition will include all of the pre-order bonus content.